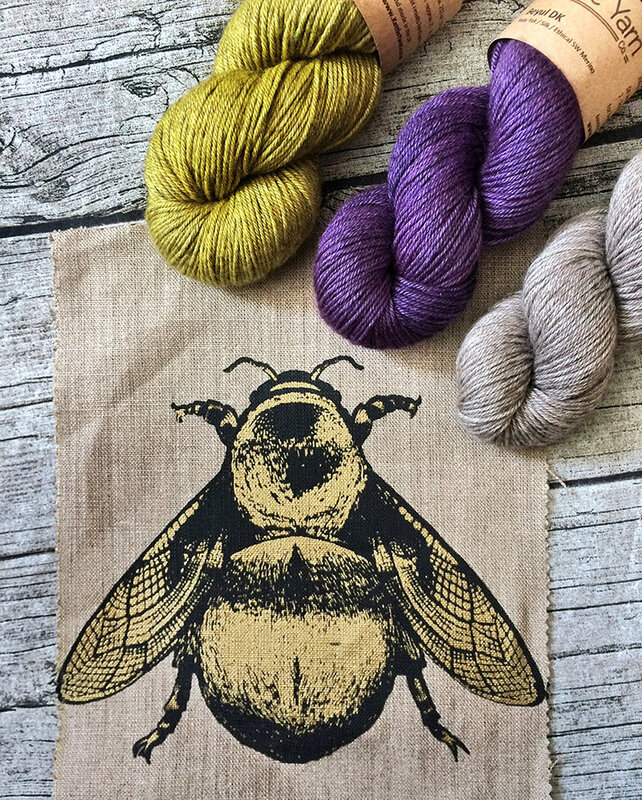 SHOP UPDATE … and STILL waiting for Spring! - Kettle Yarn Co.
SHOP UPDATE … and STILL waiting for Spring! Shop update today and I’ve got yet more warm DK for all of you as the weather hasn’t really warmed up for spring here yet. I’ve seen some pretty crazy Instagram posts of snow on the continent as well! EEEsh! 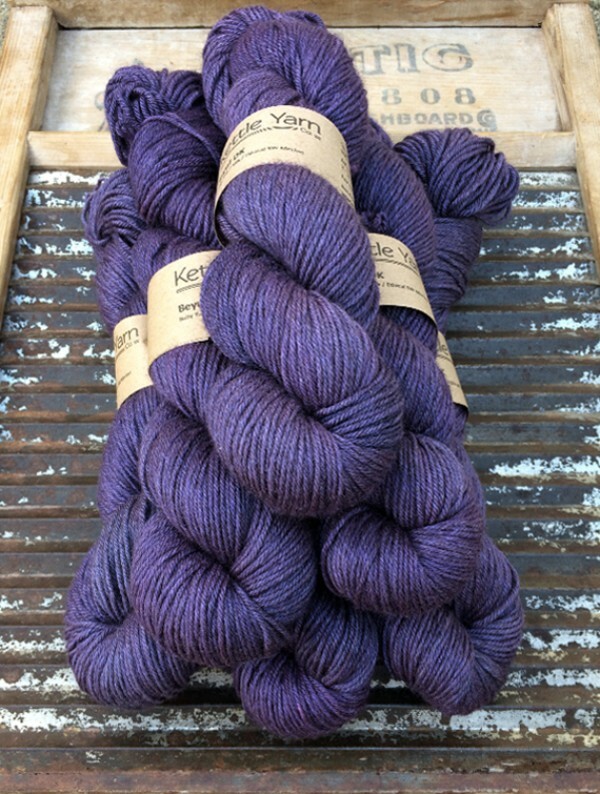 As a result I am still focusing dyeing on thicker weights and have gorgeously rich Orchid purple in the new, delicious Beyul DK, Yak/ silk/ Merino, this update! Silver linings, right? Orchid is a deliciously plummy purple with a warm glow – very, very rich. 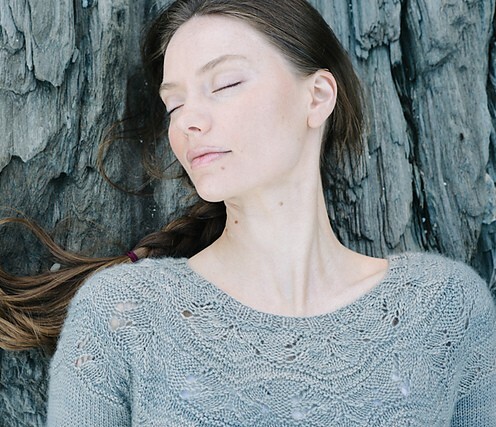 I am thinking I will cast on another project from waaaay back in my queue in the purple – the Sibella Pullover by Carrie Bostick Hoge. The rounded ply of Beyul DK will make the lace at the top truly pop and the soft yak/ silk/ merino blend will feel like buttery heaven! Perfect yarn / pattern combo and I am glad I waited for the right yarn. Or maybe an Enso by my pal Renée? I’ve been wanting to make this one for ages and the Beyul would make this simple staple something super-dooper special, letting the yarn shine as the feature! 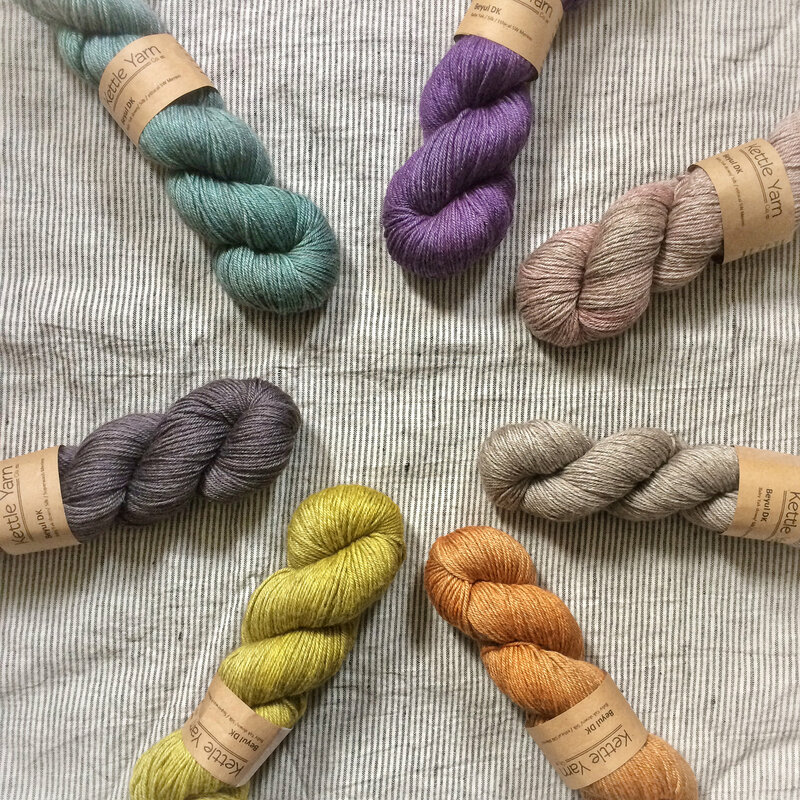 Here are all the hues of Beyul DK now in stock. From the top left corner – Serpentine, Orchid, Balsam, Yurt, Sacred Saffron, Steppe, Black Quartz. Make sure to sign up for the Kettle Krew mailing list if you want to see what else is restocked this week. I’ve not had a lot of time to keep the blog updated lately so the mailing list is your best bet for reliable info on what is new and exciting! Tickets are now on sale and selling FAST for Pom Pom Quarterly’s 5th Anniversary party – Pomfest! I’ll be at the two day marketplace will be in London Friday 15 – Saturday 16 July 2017.